Chess is the first and only sport, recognized by the International Olympic Committee, which can be officially played online. FIDE Online Arena is the only official online chess platform of the World Chess Federation where online official games, tournaments, and World Championships can be played. All this with official international rating and titles. 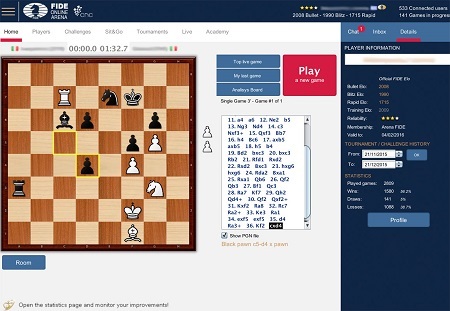 Just a few days before Christmas, FOA has released its brand new version offering the best possible gift to all chess fans worldwide – the most modern, user friendly and dynamic interface in an online chess platform, perfectly fitting to its uniquely official character.